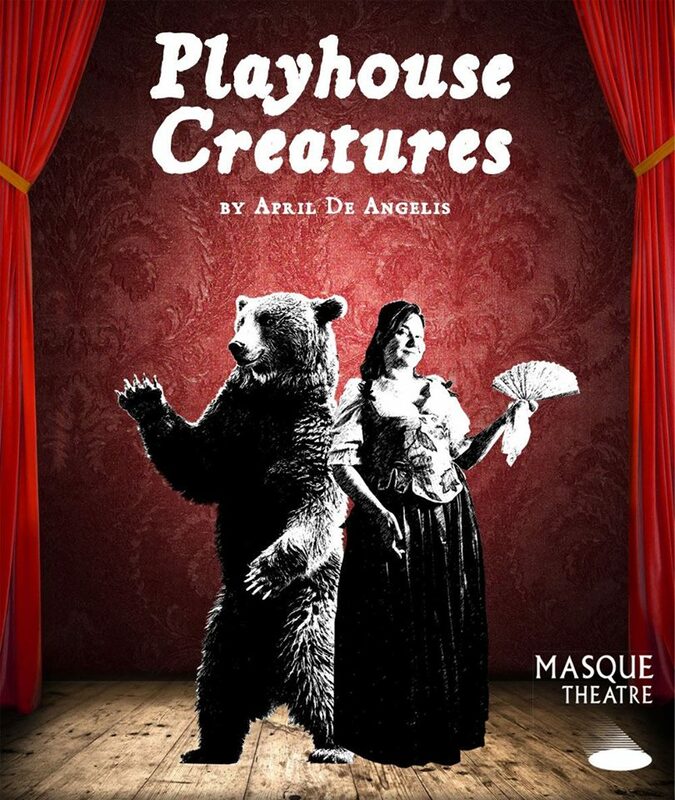 There is something quite special about Playhouse Creatures by April de Angelis currently being performed by Masque Theatre at The Playhouse Theatre. A colliding of a sparky, witty and often truly sad script, and an assembled cast of five, perhaps the consistently best I have seen from an amateur production in Northampton. Set around 1669 and telling the story of the first English actresses, Playhouse Creatures weaves a fictional tale around some very real-life and renowned characters including the most famous (mostly for other reasons), Nell Gwyn. It is a captivating little play, offering bold humour and painfully sad life events for the players. If there is perhaps one issue with April De Angelis' play is that for the first act at times it can be tricky to get a handle on its path. Many of the early scenes are formed through always entertaining, but very episodic scenes, through little snippets of performance of shows and character building. However while this seems disjointed sometimes, it is actually cleverly weaving everything you need to know and feel for the story arcs of each of the five characters. Few of which sadly get away from this play with a positive result. What sets Playhouse Creatures apart from most, maybe all, of the recent amateur productions locally, is the shear level of performance. Each of the five actors in this play are nothing short of their absolute best, and for those that I have seen before, maybe never better. Challenged with the most known character of Nell Gwyn is Ella Broughton and seemingly without breaking a sweat, she becomes the streetwise, bold and brassy Nelly before your eyes. It is a captivating performance, full of the swagger movement and confidence that you could not only imagine the real Nell had, but also required in these very different times on the streets of London. Success and survival did not have come easy then, and Ella creates to perfection a person to standout from the crowd. By complete contrast to the "from the gutter" Nell, is Mary Betterton played by Nicola Osborne. Fortunate in life and there, by accident, at the very beginnings of the history of the English actress, Nicola brings a gloriously posh and exaggerated performance to the stage, capturing the world of exuberant Restoration theatre to perfection, and eager to pass on her clock related skills to the new Nell. Mary's story arc is disturbingly still relevant today and is brilliantly developed by Nicola to the point in her final scene of close breakdown, rekindling her most favourite role. All clearly shattered and distraught in face and manner as the world she has lived all her life falls from her grasp. Rebecca Marshall (April Pardoe) has an equally glum arc, happily availing herself of future suitors after a very failed encounter, but via revenge (and an unclear divulger of information) heads for potentially a very grim outcome. Despite any of this though, there is much fun to be had from April's character of Mistress Marshall, created mostly from her outbursts to the audience. Swearing has almost never been as much fun as that created here and delivered with aplomb by April. Delivering a "f**kwits" cry to the assembled louts outside the theatre and then gracefully walking back to stage as if butter wouldn't melt is a particular highlight of the show. Creating another highlight with a very different effect is that of Julia Langley as Elizabeth Farley. Her story is the slowest and most underplayed at first, until in the second half when it most certainly isn't and becomes a gut-wrenching tale. It is handled with style and grace by Julia and her impassioned solo to the audience, all desperation and sadness leaves a guaranteed lump in the throat. A quite amazing moment of theatre, which in the intimate venue makes it so much more powerful. Last but absolutely not least is Sue Whyte's quite epic creation of Doll Common. Mostly without a life story like the other four, Doll is often the foil for the others to play to, or for us the audience to delight in. Clearly given most of the over the top comedy moments, Sue makes them all work in a incredible manner, at all times emphasizing the "common" aspect in both manner and speech. From soiling the costumes, sweeping the stage, or just simply saying "poetry", this is simply an amazing comic performance. Direction from Beverly Webster is neat and clever and makes the locations and challenging scene changes work despite the swiftness of many of them. The play also adopts one of my favourites of theatre, the break into the stalls theatre space as the actors come to you. It has rarely been adopted to a nicer and more powerful effect than in Playhouse Creatures, as the cast speak direct to you, bringing you into the characters world more. Behind the scenes due to the nature of the quick changes going on, congratulations must be offered to stage manager Jo Molyneux and assistant Emma Burgess for making it all appear so smooth. Also there is some excellent work on display in make-up and hair from Sidonie McDowell and Vicky Kelly to create very much the world of 1669 on stage. So the best Masque production I have seen? Yes definitely, just passing the sublime Lilies On The Land. The best amateur show I have seen ever? Very close, rarely do you get levels of performance as consistent as those on display in Playhouse Creatures. It is a powerful and entertaining play, which challenges, thrills and brings humour on equal level, while never trivialising anything. It is extremely highly recommended to be seen, and is a true gem and high point in the amateur world of Northampton. Performance reviewed: Thursday 6th April, 2017 at the Playhouse Theatre, Northampton.